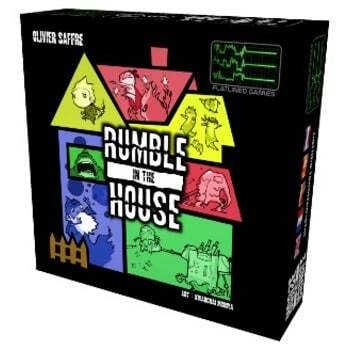 Rumble in the House is a game of bluffing and deduction for the whole family. 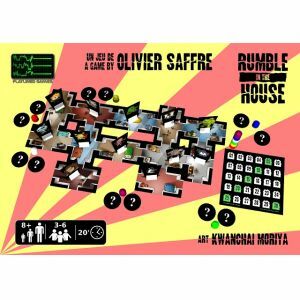 Each player secretly "owns" two of the twelve characters in the house, and each character starts in a different room of the house. On a turn, a player either moves any character that is alone in a room into an adjacent room or starts a fight in a room that contains at least two characters. Well, it's not much of a fight really, as the player removes one character from the room and places it in a line with other removed characters. Once a single character remains, the round ends. The first two characters removed are worth zero points, while the third through eleventh characters are worth 1-9 points; the character that remains in the house is worth ten points. 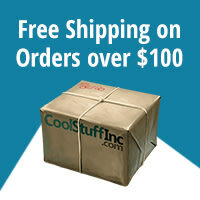 Each player collects points only for his most valuable character. A twelve pages multilingual rulesbook (French, English, Spanish, Dutch and German - two pages per language).